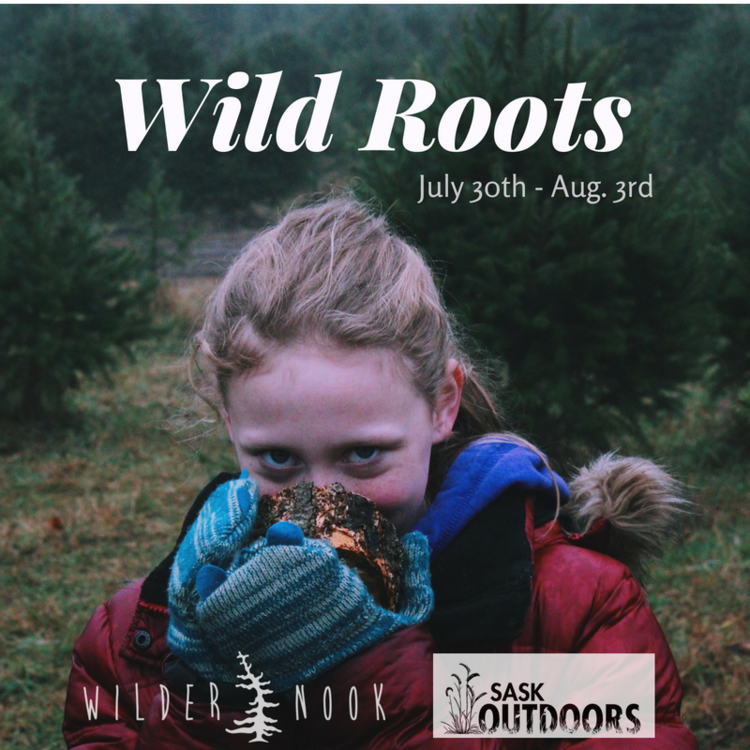 Wild Roots is a nature immersion program for young women (age 9-11) who are craving more time outdoors discovering the natural world and growing their nature knowledge and independence. We begin our week by building our community and outdoor skillset in Saskatoon's biodiverse Gabriel Dumont Park. On the third day we head off on a boreal forest multi-day camp adventure. The Wild Roots program is a unique day camp/overnight camp hybrid designed to support participant growth and maximize confidence-building opportunities. Our outdoor experiential educators each bring years of experience facilitating wilderness trips in all seasons. Whether preparing food, setting up shelter, or building a fire, participants will benefit from the fun and encouraging community the instructors establish. Monday and Tuesday will involve skill and team building in Saskatoon during the days (8:30 to 4:30 each day). From basic wilderness first aid to setting up shelters, the skill development and leadership opportunities begin on day one and the cool thing is participants will get to learn and practice their skills before using them in a camp setting. Location: Monday will be based at Gabriel Dumont Park in the Buena Vista neighbourhood. Tuesday will be at a similar urban park (TBA) depending on our learning focus. Wednesday to Friday we will set up and live in a boreal forest base camp at Namekus Lake in Prince Albert National Park. We will provide transportation to the camp and back to Saskatoon Detailed information about our different locations will be communicated in the information package. Cost: The program cost of $435 and $415 for SaskOutdoors Members includes learning materials and any gear rental. Are you a newcomer to Canada? SaskOutdoors will cover the program cost for 2 newcomer girls to participate in this program. A newcomer is an immigrant or refugee who has been in Canada for a short time, approximately 2 years or less. UPDATE: The 2 newcomer girl spots have been filled. Requirements: Participants must provide their own rain gear, day pack, sleeping bag and inflatable sleeping pad. This is an active program and participants should be in good physical condition to enjoy themselves (e.g. able to comfortably run for 15 minutes and walk for 60 minutes at a time). Registrants will be sent an information package 2 weeks before the camp.